From the 11-15 December 2017 in Dakar, Senegal, the Mami Wata project organized its first Marine Spatial Planning workshop. The workshop gathered some twenty representatives of the French-speaking countries in the Abidjan Convention to develop their understanding of the relevance of Marine Spatial Planning (MSP) in conservation and sustainable use of marine and coastal space and resources. The event was organized by the Centre de Suivi Ecoloqique (CSE) and the Mami Wata project, and hosted in Dakar, Senegal by the CSE. Amadou Moctar Dieye, Technical Director of the CSE, expressed his joy and honour to host this workshop in the premises of the centre. He added : “this training is part of the Mami Wata project, which is developing a set of tools including Marine Spatial Planning, intended to contribute to the Aichi targets of the Convention of Biological Diversity“. Following the “Blue Planning in Practice” training format, which was developed under the Blue Solutions Initiative, the participants were introduced to the fictitious country of “Bakul”. With this as the backdrop, the participants investigated the importance of marine and coastal ecosystems, the services they provide, and how to identify needs and organize stakeholder participation – all with the intention to balance the interests of different actors, based on clear and transparent criteria. For the Mami Wata project, the training marked the start of its capacity development activities in the Abidjan Convention region. These will be implemented across the region for both English-speakers and French-speakers during the course of the project, and will focus on the three project components MSP, State of Marine Environment Reporting (SoME), and CBD´s Ecologically or Biologically Significant marine Areas (EBSAs). Richard Dacosta, Program Officer in Abidjan Convention Secretariat and member of the Mami Wata project´s core team, was happy with the first training week. He stressed that: “the Convention´s Member States have asked us to put in place a Marine Spatial Planning method, at national and regional level, to help harmonize the planning and management interventions undertaken by states at sea. This 5-day training support such efforts”. 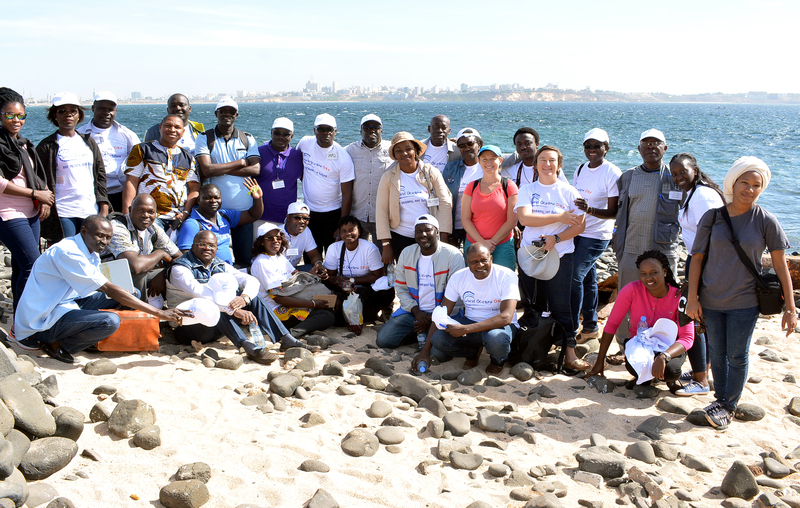 During the training week, the participants had the opportunity to visit the “Îles de la Madeleine” National Park, a 45 hectare island located a few kilometres off Dakar’s Soumbédioune beach. The island is home to an extremely rich and diverse underwater biodiversity, with both tropical and Mediterranean fishes to be found. 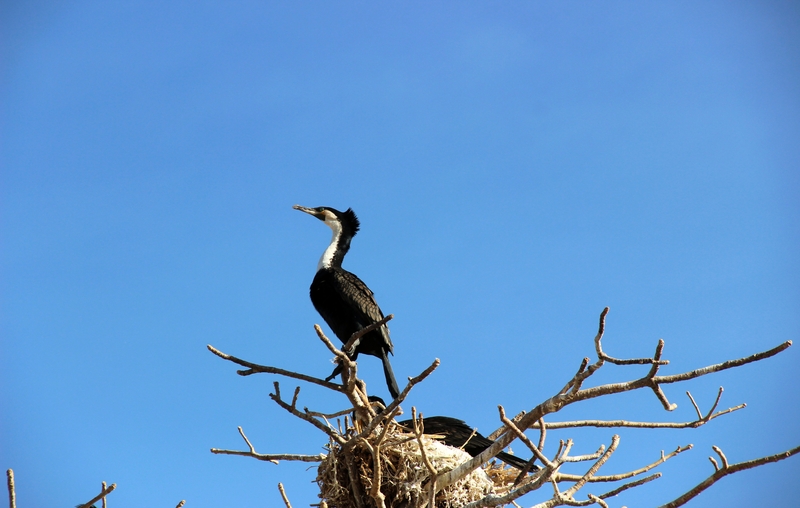 The group had the chance to observe a large flock of cormorants as well as red-billed tropicbirds. At the end of the meeting, the participants expressed their satisfaction with the knowledge gained during the workshop, and their interest in making use of the Marine Spatial Planning tool. It was agreed that as a follow-up for the meeting, each participant would report on the outcomes of the workshop to their respective countries, and to organize further MSP workshops for different stakeholders at national to local level. The group also agreed to provide support for capacity development on the Marine Spatial Planning tools, and to create a network of experts to monitor the progress of the Mami Wata project. A similar training will be held early 2018 for the English-speaking countries of the Abidjan Convention.